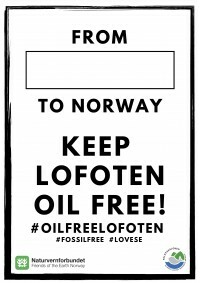 For over 20 years the oil industry has been trying to get access to the Lofoten, Vesterålen and Senja islands in Northern Norway, known as LoVeSe. They are the last remaining marine areas in Norway currently off limits to the oil industry, and home to unique ecosystems and wildlife. The islands are home to the world’s largest stock of cod spawn, known as skrei, Europe’s biggest nesting sites for seabirds and the world’s largest cold-water coral reef. For centuries the local cod fishing industry has been fundamental to local communities. Now local fishermen fear consequences if oil rigs are allowed into the areas. 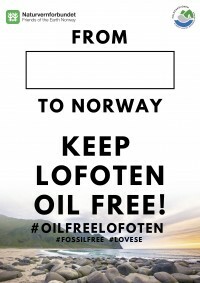 On the 6th April, the Norwegian Labour Party @arbeiderpartiet will decide whether to support a permanent drilling ban for the Lofoten, Vesteralen and Senja islands. We have just a few days left to give them the courage to do it. For the fragile marine life, for the local communities, for Norway, and for the planet - it’s essential that this area remains oil free. Help us encourage the Labour Party to make the right decision by posting a campaign poster to your social media, tagging @arbeiderpartiet and Labour leader @jonasgahrs, asking them to say YES to a permanent ban.